Florida Uruguay is becoming a very popular destination for tourists. People are now discovering that although it is the smallest Spanish speaking country in all of South America, Uruguay has a lot to offer. 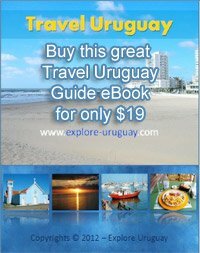 There are a number of interesting cities in Uruguay that have the same name as other, more familiar vacation sites. In addition to a city named Florida there is also a small town named Trinidad in Uruguay. These places may not be as well known as their counterparts but you can be sure that you will enjoy your visit. When you visit Florida Uruguay you will be delighted to notice how family friendly the surroundings are. The city combines a high standard of living with a comfortable and relaxing atmosphere. Tourists are able to enjoy leisurely strolls through the streets and experience the full adventure of the country's rich and unique cultural heritage. The mild climate, cool breezes and prime geographical location has made Florida Uruguay one of the best places for plants, flowers and trees. Colorful flowers and greenery can be found throughout the region and you will also notice a number of vineyards in this area. Large ranches are also part of the Florida landscape in Uruguay. Gauchos travel the rolling hills on horseback as they care for herds of prime cattle. It is even possible to arrange trips to some of the vineyards and cattle ranches. Then a personal tour will give you a better understanding of the work and effort that has been necessary to make these enterprises successful. In the city of Florida Uruguay, visitors will quickly forget that they are guests because local people of Uruguay will treat you warmth and hospitality. Rushed schedules can be forgotten as you embrace the charms of living life to the fullest each and every day. In Uruguay the city of Florida is a paradise for those who enjoy camping, nature, fishing and swimming. You can camp out for a weekend, a week, or even longer by making reservations at Park Robaina. This municipal campsite is found along the shores of the Saint Lucia Boy River. Campers agree that this is a wonderful place for couples, groups or families who want a low key vacation experience. The shoreline provides a number of beachfront sites for wading, fishing and even sailing. With nearby woodlands to explore and the gentle sounds of the moving waters Park Robaina is an ideal vacation destination for almost everyone. If you prefer less rustic accommodations during your Florida, Uruguay trip then perhaps you should consider staying at the San Pedro de Timote Hotel del Campo. This lodging facility is located in Florida's Cerro Colorado region. Clean, spacious rooms, daily breakfasts, a fitness center and sparkling pools has helped make this a favorite of many travelers. Nearby cities such as Canelones, Castellano, Sauce and Progreso are all within easy traveling distance of Florida, Uruguay. This means that during your stay in this riverfront city you can make a number of day trips to other locations, including the capital city of Montevideo.